By the middle of the 1980s he had also taken the leadership position of spokesman for hard science fiction, and contended with the rising cyberpunk reformers of hard SF. He has remained the most articulate defender of science's role in science fiction to this day, and perhaps the most literate and literary of its writers. In the 1990s, by now an acknowledged master of hard science fiction, he became more playful in some works, in particular stories such as ''Centigrade 233,'' a riff on Ray Bradbury's classic ''Fahrenheit 451,'' and ''Zoomers,'' a dot-com bubble superman fantasia, while still holding to the center with the majority of his writing, completing his long series of Galactic Center novels and even writing in Isaac Asimov's Foundation universe. We have here a series of snapshots of a moving target, a writer who has been growing and changing for decades, extending his art, and the art of science fiction writing. 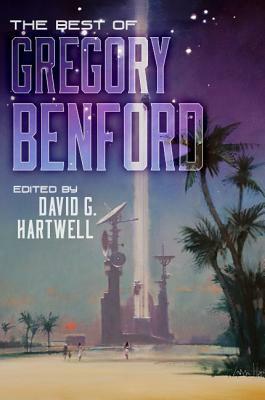 Benford continues building himself challenging structures to write in with two story series in progress that may emerge as major works. He's not slowing down. But for the record we now have this book, a permanent chronicle of a major career. Six decades so far.